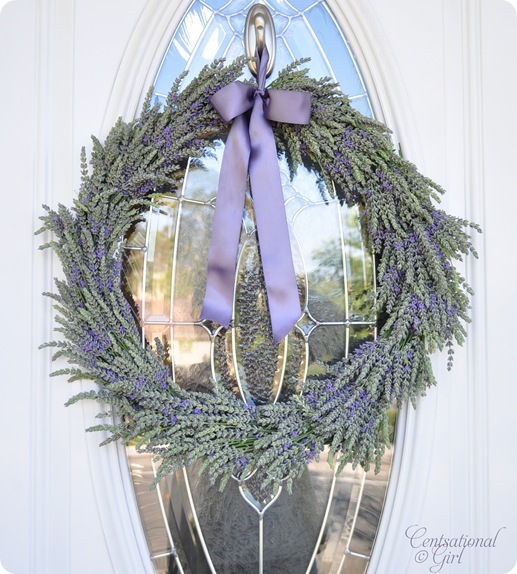 Bargain hunter, design lover, renovator, and incurable DIYer, Kate Riley of Centsational Girl, created this beautiful lavender wreath; and she shows you how to make one for yourself. I bet it smells wonderfully amazing. Along with the color, I love the texture the bunches of lavender make. In pursuit of diamond style on a dime, I shop thrift stores, home improvement centers, and retail shops with an eye for renovating and decorating spaces, repurposing found objects, and creating new things. My motto is ‘fabulous, for less’ and I’ll show you how to fix up your place with finesse. I like her style. Being a thrift store treasure hunter myself, I bet it’s super fun shopping with Kate! How do we welcome others into our lives? With open arms or closed “doors”? How do we welcome our day? with a heaviness of drudgery or a delightful sense of wonder?